Get all the details on our new interactive tools, in-app design store and launch partner components. Say hello to Framer X — it’s the most advanced interactive design tool on the market, and yet intuitively easy all at once. Framer X is now available for public download, so claim your free trial to create responsive designs, everyday interactions and React-based components all in one powerful tool. No code needed, just drag and drop in fully functional components from the Framer X Store, the world’s first interactive design marketplace. 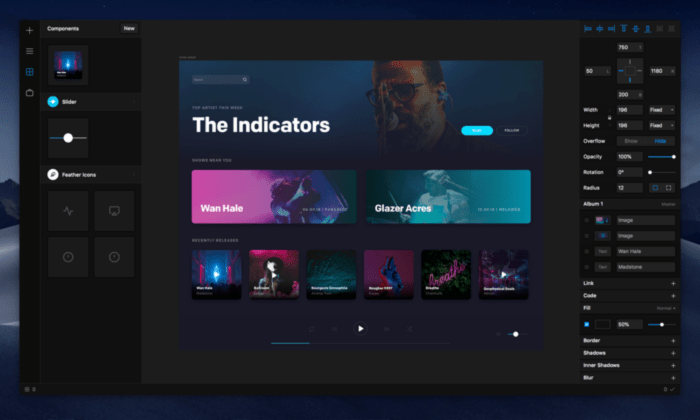 Since Framer launched in 2014, thousands of designers have used the tool to innovate on cutting-edge products including Twitter threads, Dropbox Paper, UberPool and more. And while product teams around the world leapt headfirst into Framer, many more designers found the code-based nature of the tool a tough barrier to entry. Today, Framer X opens up that same level of high-fidelity inetractive design to everyone by eliminating the need for code. In its place is an intuitive toolset that allows virtually anyone to design highly realistic everyday interactions, directly on the canvas. Next to inventing new interfaces, Framer X now lets you wireframe, express flows and package everything up into reusable components that you can compose into complete design systems,” says Koen Bok, co-founder of Framer. Design visual and interactive components directly on the canvas then reuse across your project. Layout automatically adapts your layout when you resize your canvas and lets you use flexible stacks to easily rearrange elements. Components in Framer X are fully interactive, reusable pieces that can include everything from live maps and image generators to video players. Store is the world’s first in-app interactive design store, with packages containing everything from icons and UI elements to interactive design systems. Get component packages designed by the world’s best product teams, only in the Framer X Store. 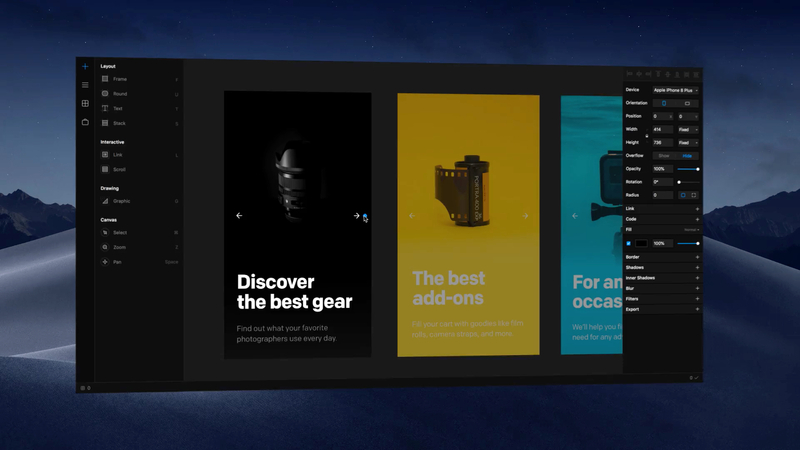 Framer X’s in-app Store comes pre-populated at launch with interactive and visual component packages. From video players, live maps and data generators to UI Kits and interactive design systems, every package will be configured to work out of the box, so anyone can install, drag and drop them into their designs. Many components will be contributed by the community, though partnerships with design-first companies like Mapbox and Unsplash will also ensure a steady stream of top-notch components. The Store also contains branded packages created by launch partners such as Facebook, Google, Airbnb, Snap Inc, Twitter, and Dropbox. Framer X is now available for public access, download your free trial here.